North Andover, Mass. 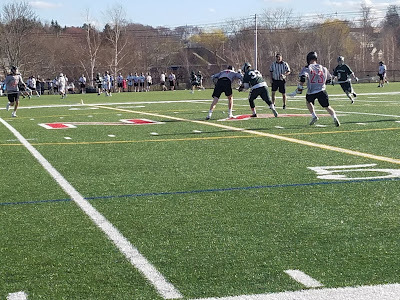 - The North Andover Scarlet Knights continued tearing through their opponents, rolling past Merrimack Valley Conference rival Billerica 11-7 at Walsh Stadium. The Knights never trailed and led by as many as eight. North Andover raced out to a 3-0 lead in the first quarter and never looked back. The Scarlet Knights led 7-2 at halftime and 10-3 after three quarters. The win kept the Knights undefeated at 8-0. During its dominant start, North Andover has outscored its opponents 118-34 so far this season. The Knights’ attack was relentless. Senior captain Zach Keating led the charge with four goals and a pair of assists. Roche, a junior middie, had a hat trick. Matt Niejdlik had a pair of goals and Keegan Hughes and Jak Chace each had a goal and an assist. The Knights never let the Indians get into the game. The offense rolled like a machine early, and the defensive unit shut down a talented Billerica attack. The North Andover defensive unit held the Indians to a lone goal in each of the first three quarters. The Knights held the Indians to just two shots on goal in the first half. 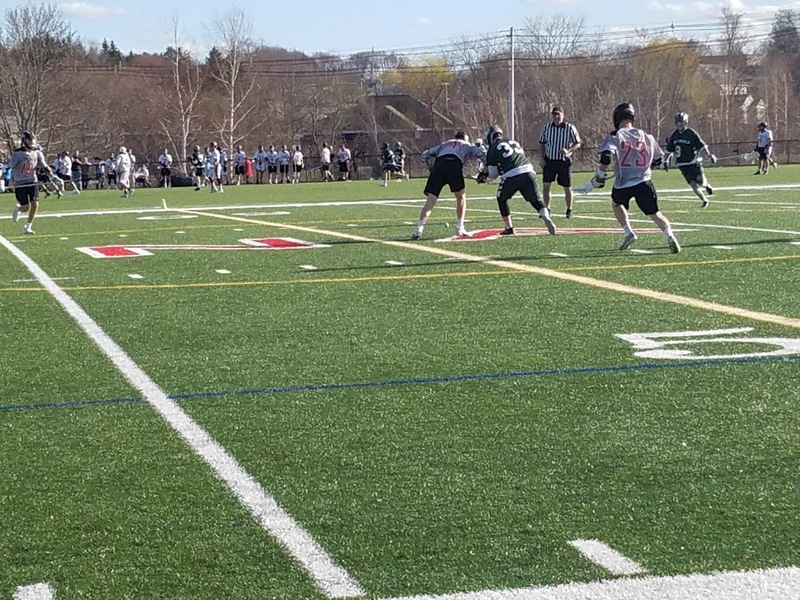 Billerica won the battle of ground balls 30-20 but turned the ball over 23 times in the loss and were held 1-5 in man-up situations, with the lone man-up goal coming with five minutes left in the game. The Indians found their rhythm in the fourth, outscoring North Andover 4-1, but it was too late. The Indians were led offensively by a goal and two assists from senior middie Patrick Quinn. Billerica rang the post four times in the second half. Billerica sophomore goalie Nolan Houlihan turned aside eight shots for the Indians. The two teams will meet again, in Billerica, on May 14.